Many many people saw this Wired article on human cremains being mixed into vinyl records when it first popped up two weeks ago. I know that many people saw this article because everyone kept sending it to me and/or asking me about it. Then a Death Reference Desk Facebook “liker” put it on the Wall of Death, which meant that I had to do something other than just report this story. Our readers keep us on our toes. After mulling over various story angles I realized that the most interesting thing to point out was this: Mixing cremated human remains into ANYTHING to produce an object of some kind which is then kept as a memorial isn’t new. In fact, Meg, Kim and I have been discussing the myriad ways human cremains get used since day one of Death Ref. You can read those posts here. I was even in New York this summer giving a lecture on people who have cremated remains put into their Memorial Tattoos. The Comments Section for one of our Memorial Tattoo postings has morphed into a Q and A area for people who want to use created remains in a tattoo. I’m mentioning the tattoos and cremated remains because I know that people are fascinated by the concept. 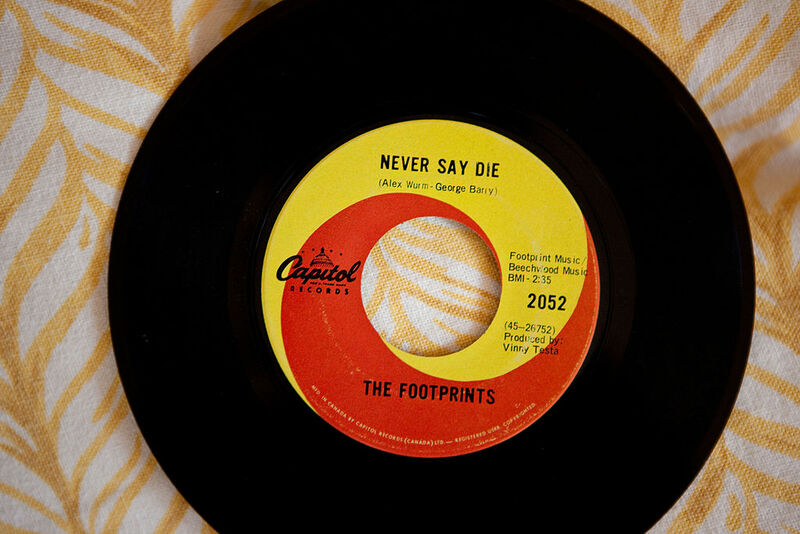 So what And Vinyl is offering to do with cremated remains isn’t all that new but it is cool. The only problem that I have with the concept is this: I have no idea what record album I would choose and/or combination of songs. I’ve been thinking and thinking but I can’t come up with the perfect mix. Anyway, the human-ash-pressed-into-vinyl story got me thinking about some of the other ways cremated remains are used to produce objects. These are just the ones I know about and could find. I even looked for companies putting cremated remains into glass bongs but I couldn’t find any. That said, I bet the entire cost of a Life Gem (please see below) that someone, somewhere is turning grandma’s ashes into a sweeeeeeeet smoker. Ashes into Glass bowls, paperweights, and other designs. Urns which look like YOUR HEAD. Eternal Reefs and cremated remains in the ocean. Fireworks which give ashes that rockets red glare feel. Ashes into Art, which is similar to the Memorial Tattoos. Huggable Urns in the shape of Teddy Bears. Wowza. Hourglasses because like the sands….oh nevermind. And remember: Most of these options also work for Pets. So that means you can have your pets’ created remains turned into a semi-precious stone, a memorial reef, and blasted into space. I don’t know about the Head Urn but maybe. Posted by John in cremation, Death + Popular Culture, Death + Technology, Monuments + Memorials and tagged cremains, memorializing, urns. Bookmark the permalink. I came across “Your Heart in Diamond” at http://www.coopfunerals.co.uk/Memorials/Cremation-Memorials/Ashes-in-Diamonds-Jewellery/, which is also another interesting alternative. You can get your own personal diamond grown in a laboratory under strictly controlled conditions. To create your individual diamond they add the hair or ashes of your loved one to a diamond’s growing foundation. This grows into a unique diamond that is connected to your loved one at its very core. Creating jewellery from ashes of those you love is a perfect, sentimental tribute… An interesting read.